At T7 Plant Hire, we do all our industrial earthmoving equipment fabrication, modification and repairs in-house, putting us in complete control of the maintenance process and ensuring the high-quality standard of repairs we are known for. 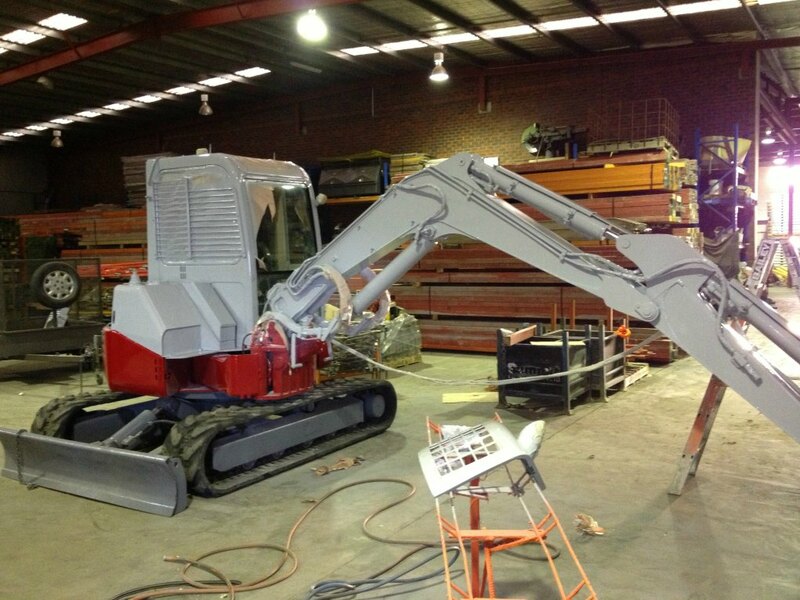 Our well-equipped workshop is fitted with a range of steel fabrication machinery, allowing us to provide cutting-edge workshop services in Altona and throughout Melbourne. Whether you choose wet or dry plant equipment hire, all our industrial and commercial earthmoving machinery is regularly serviced at our in-house workshop, ensuring compliance with OH&S requirements and industry standards. T7 Plant Hire can custom-design and build accessories to complement our industrial earthmoving equipment hire. Talk to us about everything from simple extensions to highly custom mechanisms for your specific industry. We take pride in providing peace of mind for our clients, with our privately owned and operated tilt tray transport service. Our tilt trays and other road-going vehicles are maintained and serviced at our in-house workshop, ensuring your machinery arrives onsite, in pristine condition and when you need it. Please contact T7 Plant Hire, or take a look at our commercial earthmoving equipment news for more information about our workshop services.